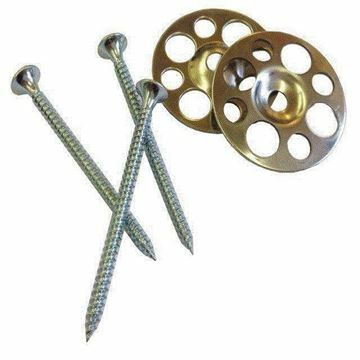 PCS Zinc plated screw with 35mm Galvanised Washer, For use with Delta Boards. Pack of 50. 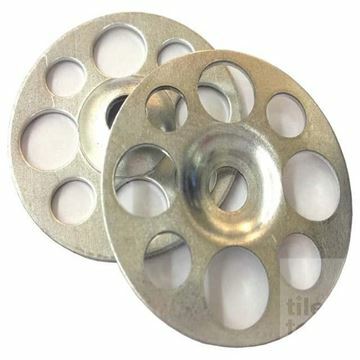 PCS 35mm Galvanised Washer, For use with Delta Boards. Pack of 100. Whether you are a professional contractor or a DIY enthusiast, DeltaBoard is going to make your tiling jobs easier and better quality. 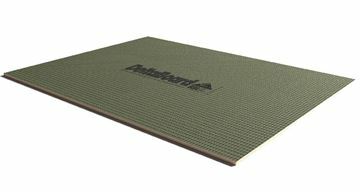 Tile Town is pleased to be able to sell this range of top-quality tile backing boards. Ensure that your tilework stands the test of time with DeltaBoard. It is an excellent surface to do your tiling onto, offering an array of excellent features. At Tile Town, we love products that are designed to be multipurpose. More multipurpose tools means you don’t need to buy and keep track of as many different ones. 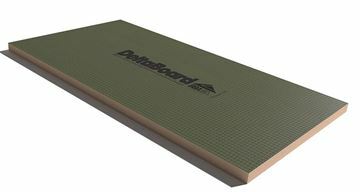 DeltaBoards are the perfect product to apply tiles and cement based screeds onto. Entirely waterproof, lightweight and durable, they are an excellent option for any professional or DIY enthusiast when laying tiles in areas which will get wet or even submerged. Underfloor heating is another area in which the DeltaBoard shines. It creates a far more effective underfloor heating solution which is resistant to water, making DeltaBoard essential for areas like the bathroom or kitchen. Choose from several different thicknesses to get the right one for your job. Simply cut it to the size you need and start laying it down to get that perfect finish for your tiling job. Moisture can cause several problems with tilework, including mould. Mould can lead to tile cracking and moisture can lead to plasterboard disintegrating and wood rotting. These problems can lead to costly repairs. DeltaBoard tile backers won’t rot, shrink or promote mould growth, ensuring that your tiles remain securely attached and in good condition. Avoid spending unnecessary money on repairs with DeltaBoard. We only sell products that we know to be of the highest quality because we want you to be able to do the best job possible. 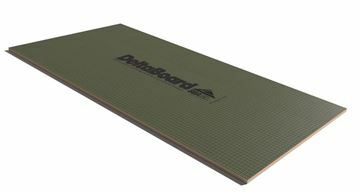 These boards are manufactured using high density extruded polystyrene, which provides excellent insulating properties. The factory applied reinforced cement coating on the extruded polystyrene core gives it impressive fire resistance and impact strength. This makes them perfectly suited to construction environments. We love how simple and easy to use DeltaBoards are. You can use any good proprietary cement-based flexible rapid set tile adhesive. Importantly, solvent-based or ready mixed adhesives MUST NOT be used. You can also fix DeltaBoards with dowels and washers. These boards provide the optimal surface to apply your tiles onto. You can see how effective DeltaBoards are by coming to one of our East Midlands showrooms in Derby and South Normanton. See the benefits in person. Here you can talk to the Tile Town team about the tiling jobs you are planning on doing. They will advise on the best tools and accessories for the job.